The operation began at dawn this Sunday between three boats and lasted 20 hours. The largest ship-to-ship transshipment operation, carried out in the ports of Colombia, was completed this Sunday in the Port of Santa Marta, where in record time, 1,274 vehicles were loaded and unloaded. In the operation, qualified as historic for the Port of Santa Marta, three ships of the Korean line Glovis were received, of which 2 brought vehicles to transship from India and Europe, to pass to a third motorboat that will cross the channel of Panama to deliver units in Peru, Ecuador and Chile. The time of the operation of the three vessels was 20 hours, in which the vehicles were loaded and unloaded for a total of 2,548 movements continuously and exclusively, on docks 6 and 7. This shows the virtues of the port, for the comfort of its docks when receiving large boats with 200 meters long. To comply with this operation, the Port used 87 drivers, 16 dockers to secure the cargo, 14 vehicle inspectors and 4 supervisors, who reviewed each unit in detail. The Glovis Sun motorboat from Chennai Port (India), of which 1,084 vehicles were transhipped, of which 300 were taxis that were imported. The other motorboat was Glovis Condor, from Bremerhaven Germany and Southampton (United Kingdom), of which 168 units were unloaded. And the third vessel was the Grand Legacy motorboat, which arrived from Altamira (Mexico), and from which 1,084 vehicles were transhipped in the Port of Santa Marta. 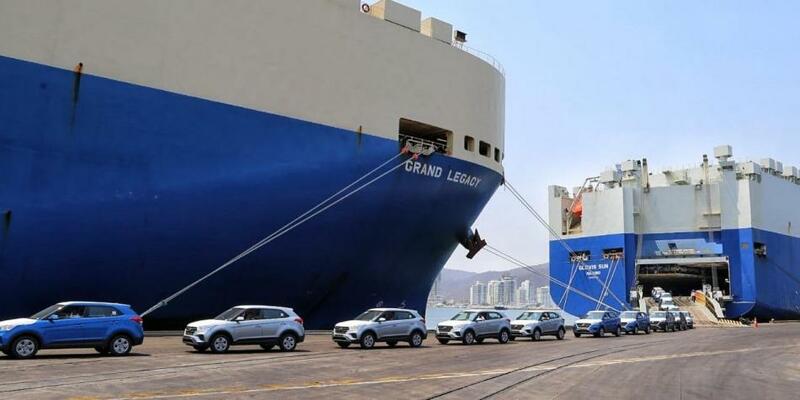 The operation left a total of 834 vehicles imported into Santa Marta.